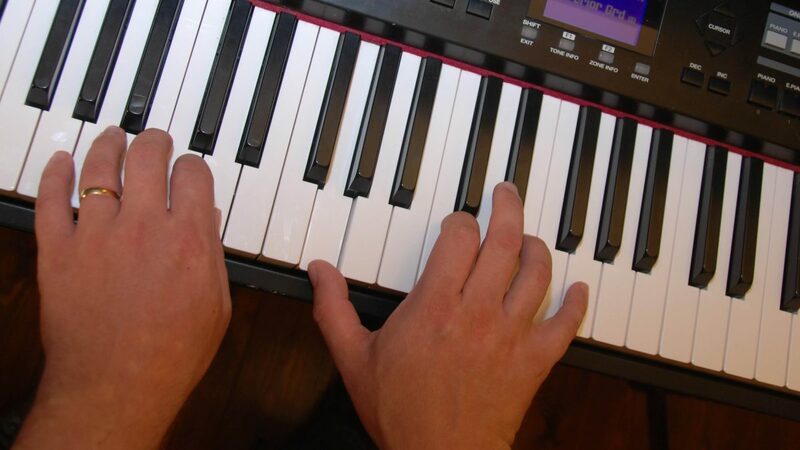 This is the first part of a mini series for people that have played keyboard using the traditional music score but want to move into more contemporary chords-based playing. 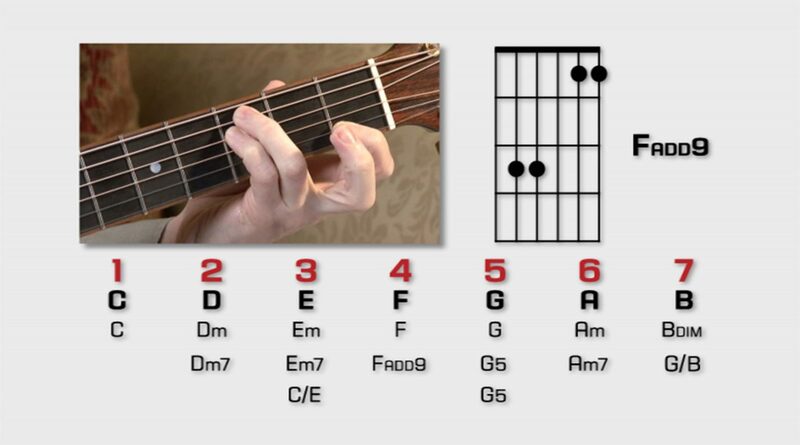 Part one looks at which chords can be expected to show up in a given key (this information will be useful for guitarists as well), how to construct those chords and how to play them in different positions (known as voicings or inversions). You can work out a major scale starting on any note using this pattern of tones and semitones. The most important and strongest chords in any piece will be based on notes from the scale. Also once we get onto using passing notes and auxiliary notes (explained on the Intermediate DVDs) we need to stick to the notes in the major scale if they’re going to work well. You should try to get to know all chords in as many voicings and octaves as possible so that they become natural and you can use them easily. 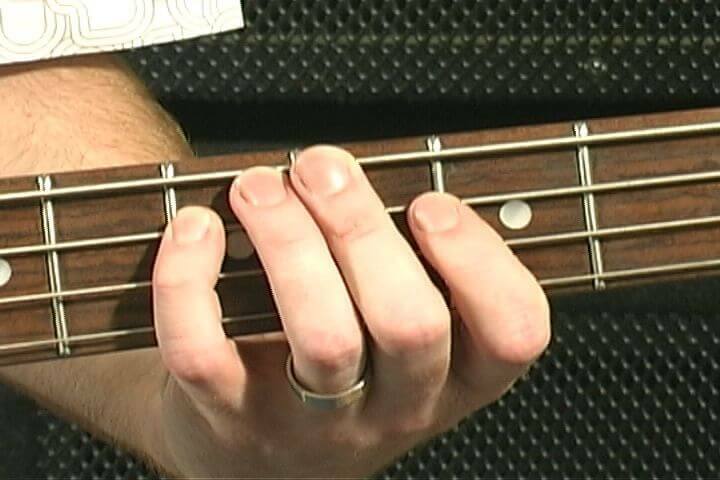 Also try to play pieces finding the closest possible voicing of the next song so that your playing can become really smooth. To help you on your way, we’ve made available online all the lessons from our Intermediate Worship Keyboards DVDs. The first two explain the concept of chords-based playing and then go onto demonstrate it using the song How Great is Our God. Click through to buy and download the lessons. Once you have been through these lessons more proficient players can progress to the rest of the Intermediate course. 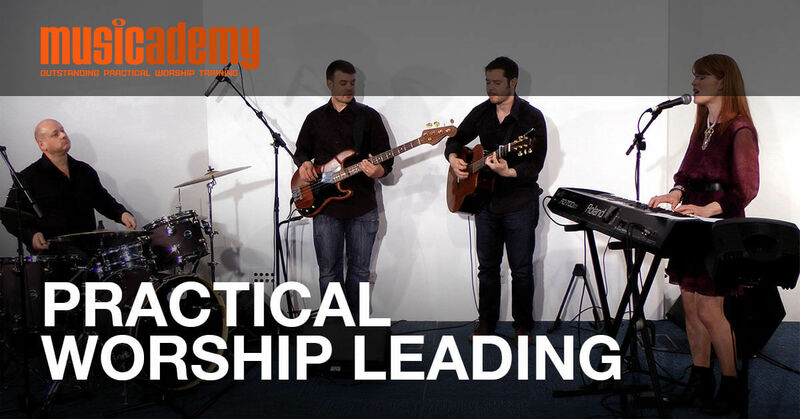 If you are less experienced and would like to consolidate your new learning with relatively simple songs go to the Beginners course (volumes 3 and 4 would be ideal), our online video Keyboard Song Learner lessons or the new Worship Keyboard Collection. This entry was posted in Keyboards and tagged keyboards, piano, praise, Worship. Bookmark the permalink. Trackbacks are closed, but you can post a comment.